Our mother, Avis Delphine Sophus is 60 years old and in end stage renal disease. Over 20 years ago, she was diagnosed with systemic autoimmune disease. Now, her kidneys are only functioning at 10 percent and she is dependent on dialysis to survive. Her doctors have told us that she is in desperate need of a life-saving kidney transplant. She has also been told that she possibly will need a liver transplant in years to come. This kidney transplant is her best chance but the cost of the transplant alone can be overwhelming. Avis is an extraordinary woman who has spent her life caring for others. Avis birthed three kids but cared for so many, from adopted nieces and grandchildren to children of no kin. For almost 40 years, Avis worked as a nurse in many capacities, giving of herself in order to aid others. It wasn’t until she became ill, ending up in the hospital and on dialysis, that her care for others ceased. 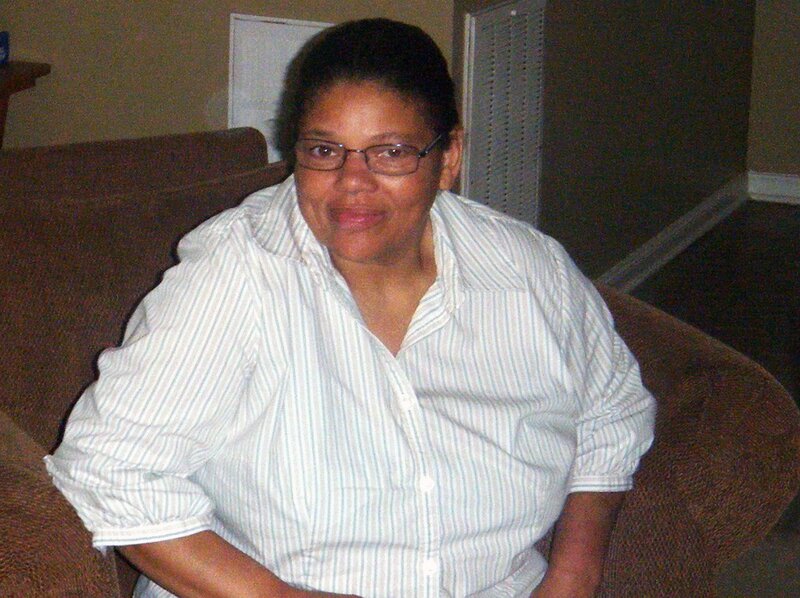 Avis would like to renew her duties as a nurse, a mother, and a grandmother. A transplant will not only reclaim her life but also salvage the lives of others. Transplants are lifesaving but financially draining. Even with insurance, Avis is facing very high expenses that must be paid out of pocket. Some of these expenses are co-pays, deductibles, lab fees, travel to and from the transplant center, and she will be on a life-time of anti-rejection medications. Costs could easily top $20,000! This is where your support is needed. To help with the financial burden of Avis ‘s uninsured expenses, a fundraising campaign in her honor has been established with Help Hope Live, a trusted nonprofit organization that has been providing community-based fundraising guidance to patients and their families for more than 30 years. All donations are tax deductible to the full extent allowed by law, are held by Help Hope Live in the South-Central Kidney/Liver Transplant Fund, and are administered by Help Hope Live for transplant related expenses only. To make a donation to this fundraising campaign, click on the Donate Now button. We are so grateful for any help you can give. Our mother is a woman full of modesty and often would not ask for help. This fundraising campaign was set up in her honor with love. On behalf of our family, thank you for your kindness, prayers, support and generosity. 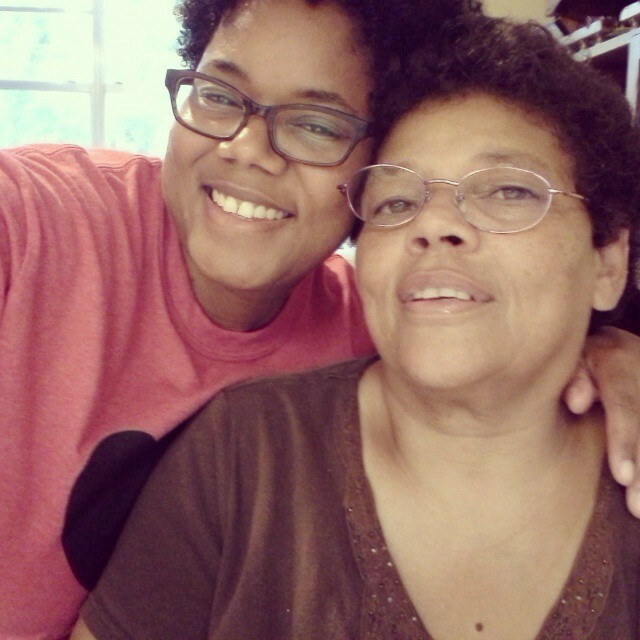 Mom received two kidneys yesterday and the surgery was a success. She is in ICU, recovering well and hopefully will be in a regular room today. I am headed there this morning. Thank you all for your kind words, prays, songs, and support. Love ya’ll! We got the call early this morning that a kidney is available. My sister and mom are headed to the hospital this morning. Please keep us in your prayers, cross your fingers, and send as many positive vibes our way. Thanks again for all your amazing support. Our mom has finally received word that she has made the donor list. We are all sitting by our phones waiting anxiously for that important phone call. Fingers crossed that it will happen any day now. There was so much love on Saturday and my family and I felt it all. What amazing beings you all are. I am in love with you all. Thanks so much from the bottom of my heart. Although my mom couldn’t be there she wants you all to know that your love and support is felt and appreciated. So excited to be able to put on an Art Show Fundraiser for my mom this weekend. We have a lot of amazing people working hard to make this event a success. 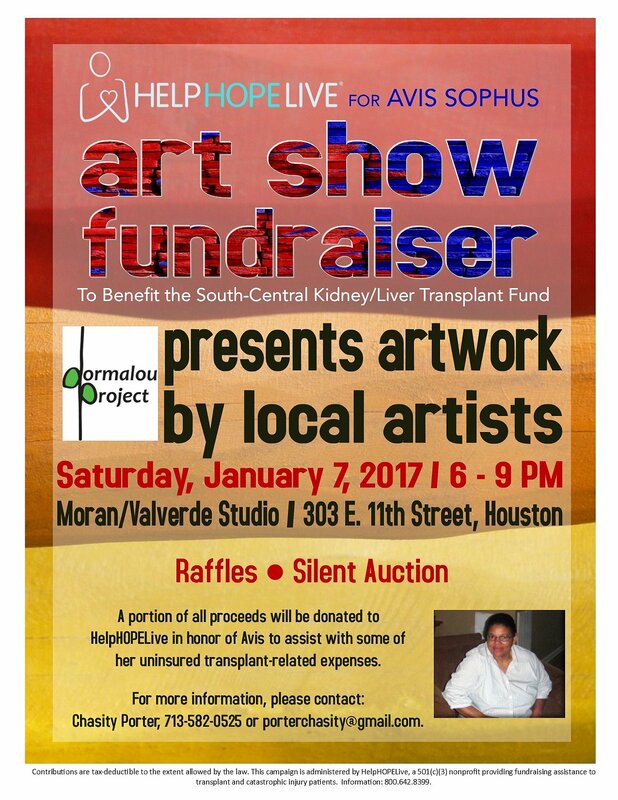 If you’re in the area please stop by and support my mother, local art, and the Help Hope Live organization. Our mother is doing well and continues to have dialysis three days a week. She has an appointment next week to see how well her liver is functioning. As a way of getting the message out about my mother, I have been hiding free art around the city of Houston and surrounding areas. To keep track of these posts please follow me on instagram @artbus_lady. Many Prayers to you all as Avis receives her kidney. Prayers for Avis, prayers for the doctors, prayers for all the family involved. Sending lots of love and hugs. God has already made a way :-) I love you!!! Praying for your dear mother Avis, that she may receive the treatment she needs and fully heal. Sending comforting thoughts to all the family! Sending lots of love and healing energy to your family. I will definitely keep you and yours in my prayers. Yes, Mother. I can see you are flawed. You have not hidden it. That is your greatest gift to me. -Alice Walker My beautiful mother, the only person I have ever aspired to be like, I love you dearly; We will take this journey together.